So, I have a struggle... every day I look at the phones on my desk and pick up my Moto Z. I do, because I just love the mods. It's got some issues still, it's not PERFECT (which phone is tho'?). The camera is awesome (feature I miss the most), size is just right. Too bad about the mods tho'. Well, the new G6 is around the corner, last year's came around April 1st, and even that was earlier than previous years. This year's is heading to come out around the end of February (which makes sense as MWC is February 26), and then be ready for sale soon thereafter. The thinking is that they probably want to get the device out quickly after what's being called a 'flop' of a phone, the G5 (not the words I'd use). First up, we've heard that the new device will not only keep the QuadHD they've had since the G3, but it'll be a QHD+ device with an 18:9 display, a resolution of 2880x1440. So, it should be a bit taller. It'll also put the phone at 5.7". That's quite a bit larger than the previous 5.3" phone, even bigger than the 2 previous at 5.5". Hrmm... that might be a bit larger than I'd prefer. oh, yes, you are right, qi charging. Just rumours, but we will release some QC 4.0 chargers and new wireless chargers at that time. Again, mostly rumours, so take it with a grain of salt. 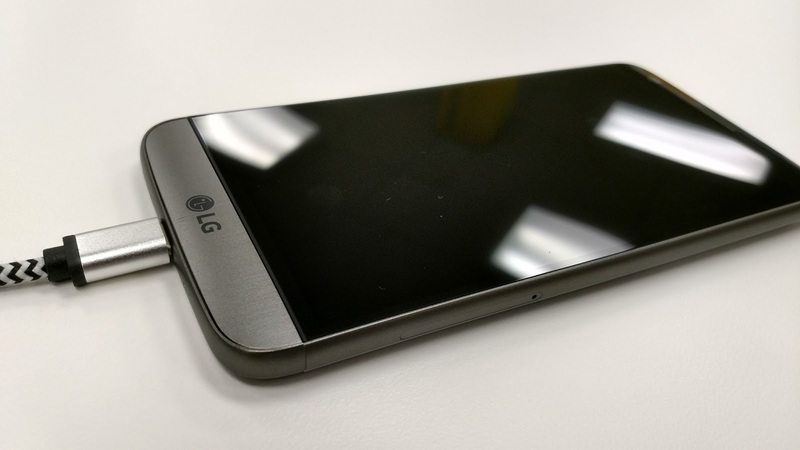 The company will supply the panel to LG Electronics for its next flagship smartphone this year. The most notable feature of the new mobile display is its “18:9 aspect ratio.” Displays, which take up the largest area of smartphones, have evolved from an aspect ratio of 4:3, to 3:2, 5:3 and 16:9; lately, a 17:9 ratio display has been introduced. Due to increasing consumer demands for bigger screens, LG Display developed the 18:9 aspect ratio display to provide more immersive viewing experiences. QHD refers to a resolution of 1,440x2,560 - four times the number of pixels on a standard HD display (720x1,280), which employs 538 Pixel per Inch (PPI), based on a 5.5-inch panel. LG Display’s new 5.7-inch panel called QHD+ has a resolution of 1,440x2,880 with 564 PPI, which is higher than conventional QHD LCDs.